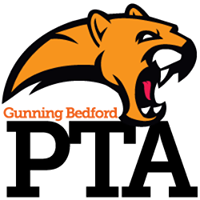 September 12, 2018: Join Gunning Bedford’s PTA for Open House. Don’t worry about cooking dinner – several food trucks will be waiting for you outside of Gunning Bedford! Come grab a bite to eat, beginning at 5:30pm and 10% of proceeds will go towards the PTA. Want to join the PTA? The first 75 paid memberships will receive a FREE cupcake! 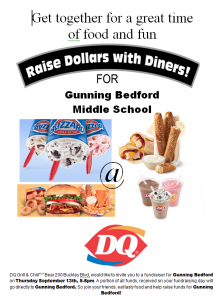 September 13, 2018: Back to School Night at Dairy Queen! Come to Dairy Queen on Rt. 40 in Bear from 5pm until 8pm to enjoy a yummy treat! September 19, 2018: First PTA Meeting. 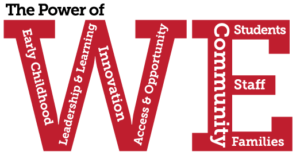 Join us at 6pm for pizza and information about the upcoming school year.